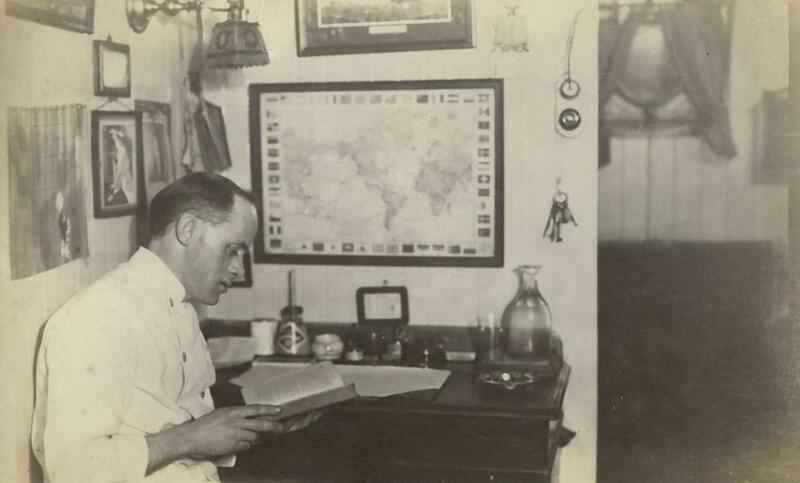 Harry Russell served as chef on board SS Caronia throughout World War 1, including her service as HMS Caronia between 1914 and 1916. In this period he took over a hundred photos and arranged them in an album, the contents of which now follow. Most of the photographs are captioned. Where they are not, or where additional information is available, this has been added. The images are so interesting and as they are in the order they are for no doubt good reasons, it would be a shame to rearrange them. They are therefore presented in their original layout and order. 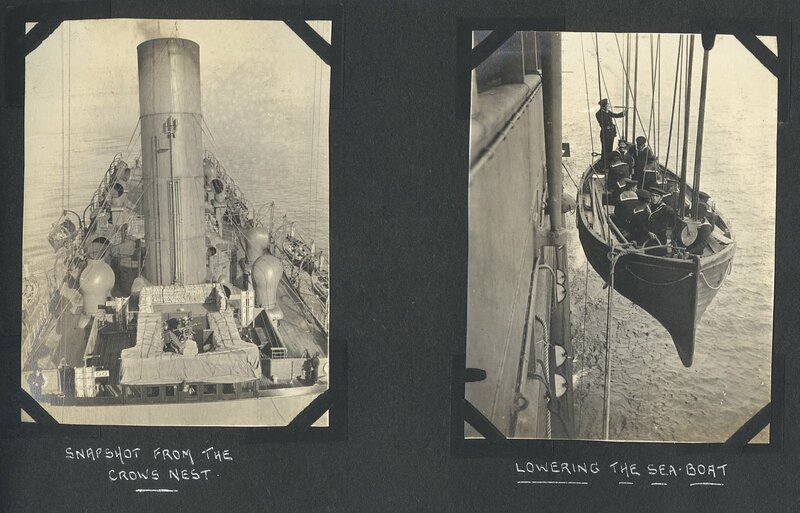 As Eleanor points out, the photos of the Lusitania are particularly interesting, not only because this was her last voyage before her infamous sinking, an event that did so much to eventually bring the United States into the war against the Germans, but for a more personal reason. Harry's brother, Fred, was a saloon-class steward on board her, survived the sinking, and reportedly rescued two women in the process. Harry went on to be chef aboard most of Cunard's 'big name' liners, and was awarded the OBE for his work on the two Queens during the Second World War. 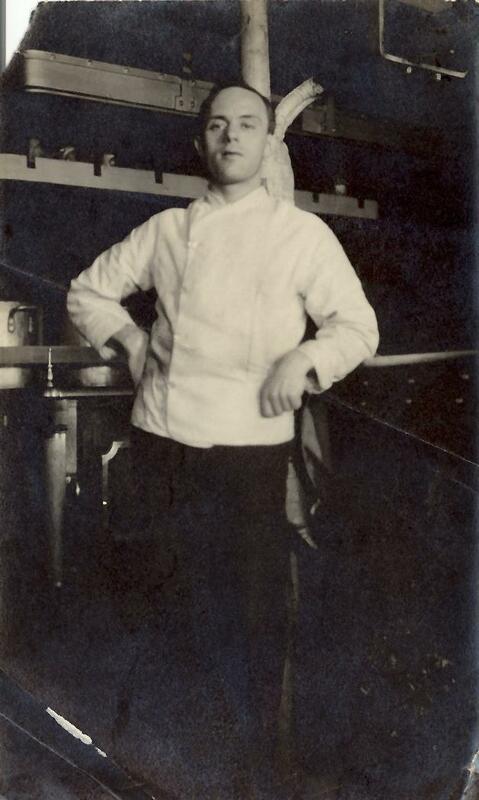 He finished his career as executive chef of the line - "so the crew of Caronia were definitely getting some good grub while they were on board in 1914 to 1916!" Liner built by John Brown & Co, Clydebank, launched 13 July 1904, owned by Cunard Line, maiden voyage 25 February 1905, 19,524grt, 678ft long, 18 knots, originally carried 300 1st, 350 2nd and 900 3rd class passengers, totalling 1,550. The largest ships in the Cunard Fleet, Caronia was fitted with quadruple-expansion engines, and sister-ship Carmania with steam turbines to compare performance. 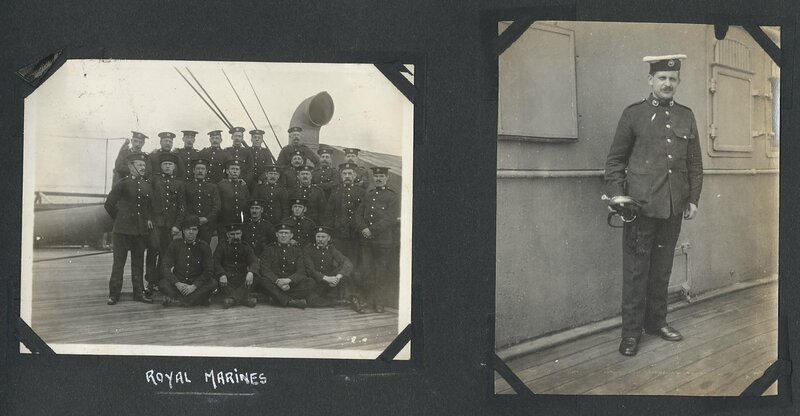 Until World War 1, Caronia served on the Liverpool-New York route. Hired by Admiralty 2 August 1914, converted to armed merchant cruiser in Liverpool and armed with 8-4.7in, completing on 8 August. 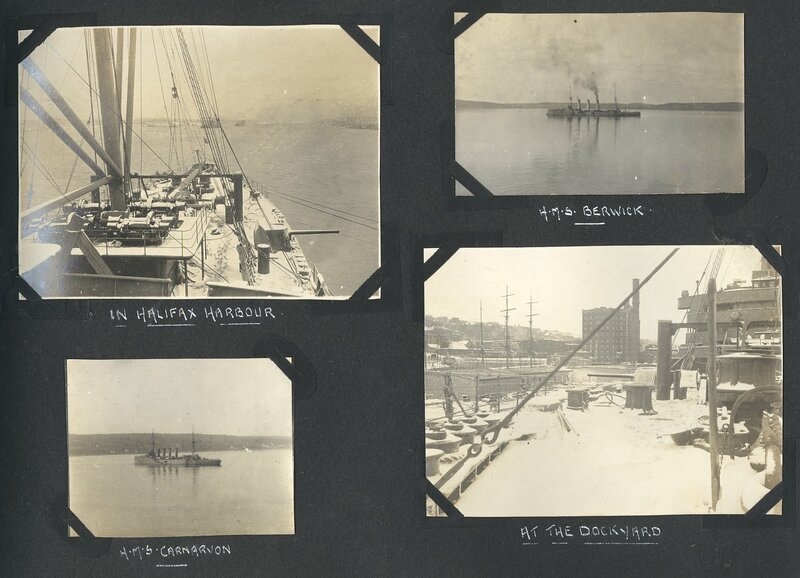 On the 19th, captured German barque Odessa carrying nitrates and continued on to Halifax. 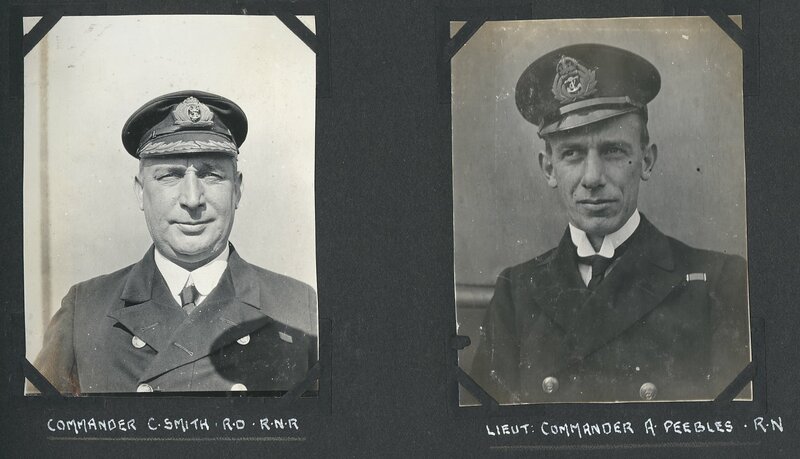 From 1 October, spent six months patrolling the Ambrose Light Vessel area off New York on contraband control. 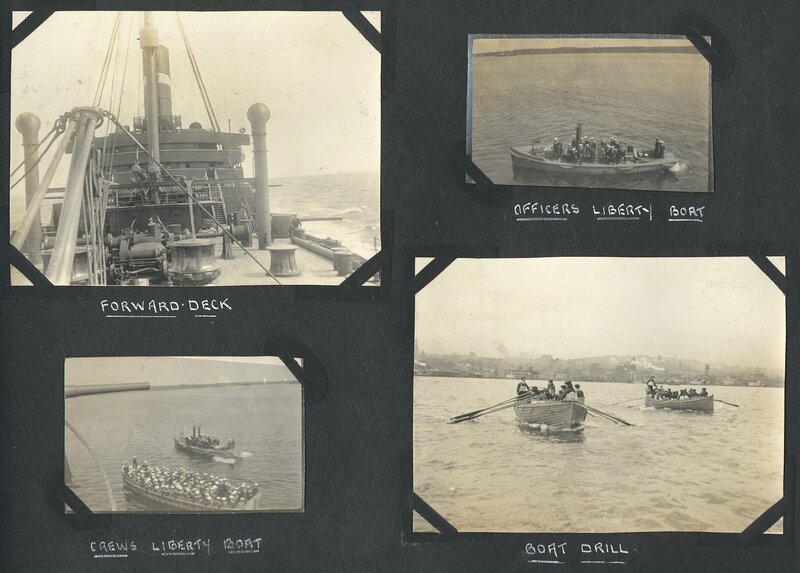 On 14 April 1915, in collision with US schooner Edward B Winslow, but damage minimal. 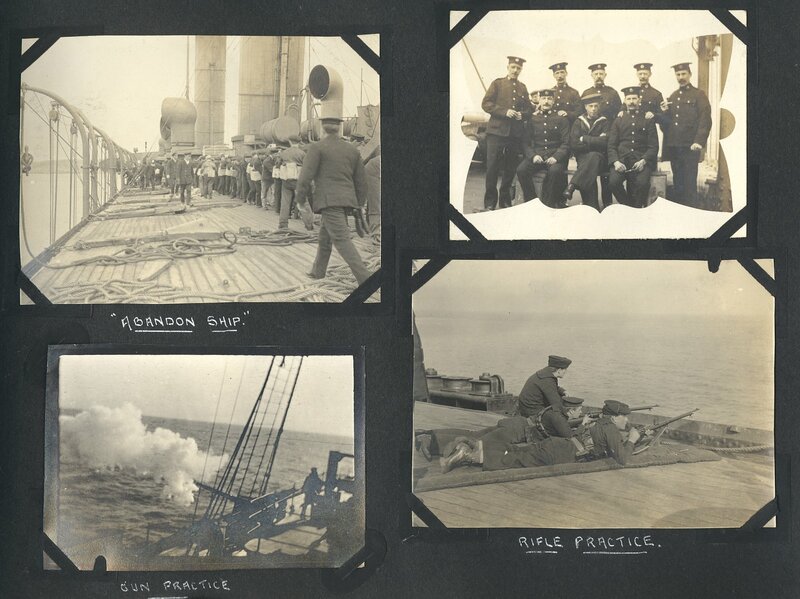 Returned to Liverpool in May 1915 for refit, continued patrols off New York, and again returned to Liverpool, this time to be released from naval service. Taken back by Cunard in August 1916, refitted and then spent the rest of the war carrying troops between Halifax and Liverpool. Afterwards repatriated Canadian troops. Returned to trans-Atlantic passenger service, laid up in 1931, finally scrapped in Japan in 1933. In 1914, serving with 4th Cruiser Squadron, North American & West Indies Station (Western Atlantic) which included battleship Glory (flagship), and cruisers Berwick, Bristol, Essex, Lancaster, Niobe (RCN) and Suffolk. 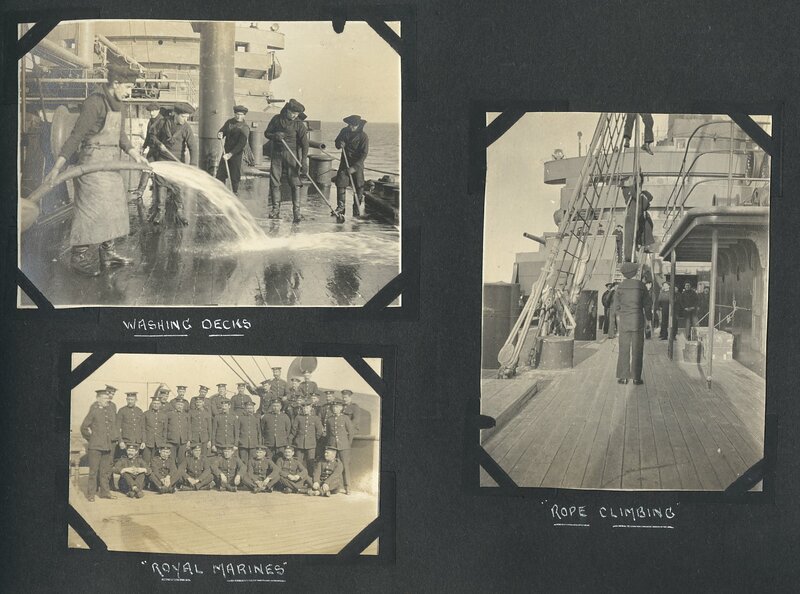 Follow this link for Ship details and her log books August 1914 to December 1915. 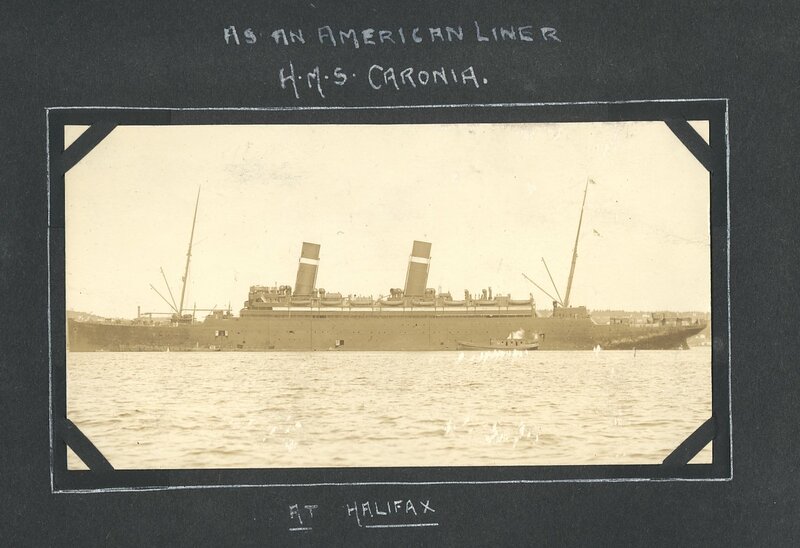 1 - HMS Caronia as an American liner at Halifax. 2 - Rear Admiral R.S. Phipps Hornby, in command of North American Squadron. 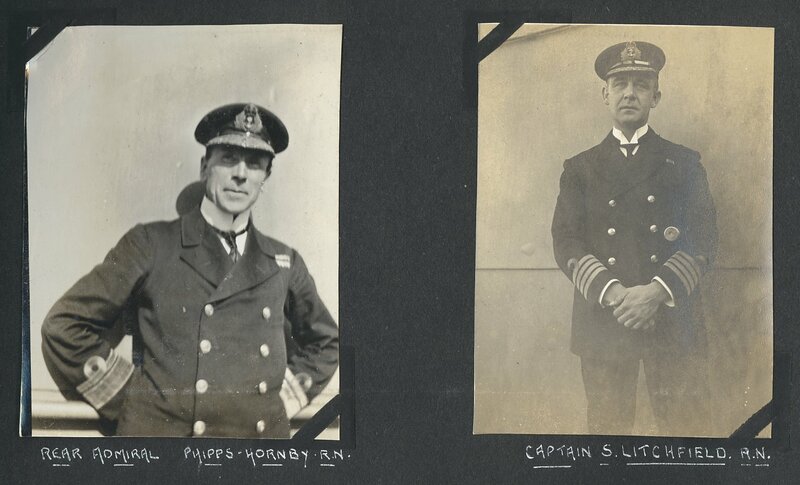 3 - Captain Litchfield, in command of HMS Caronia. 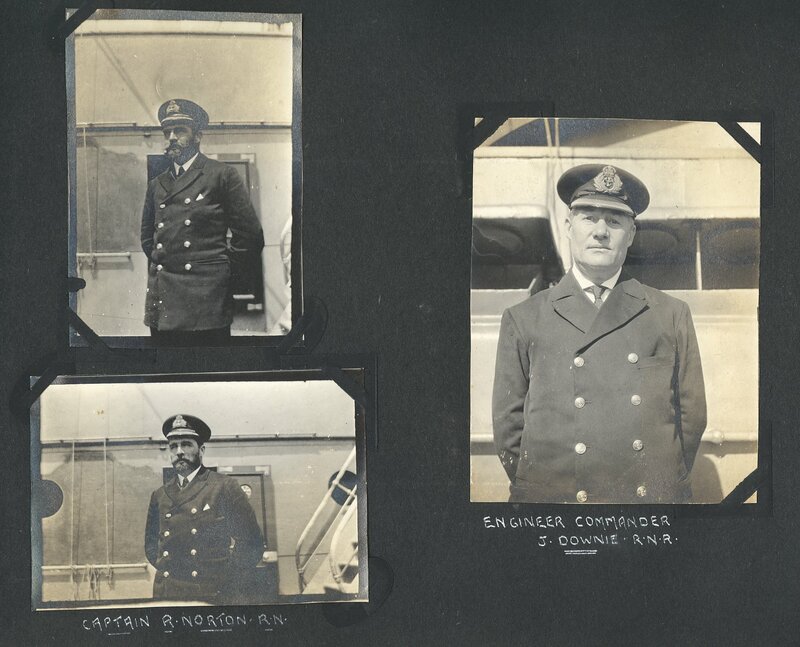 4/5 - Captain Norton later took over command of HMS Caronia. 6 - Engineer Commander J. Dowie. 7 - Flag Lieutenant White. 8 - Lieutenant Parkes. 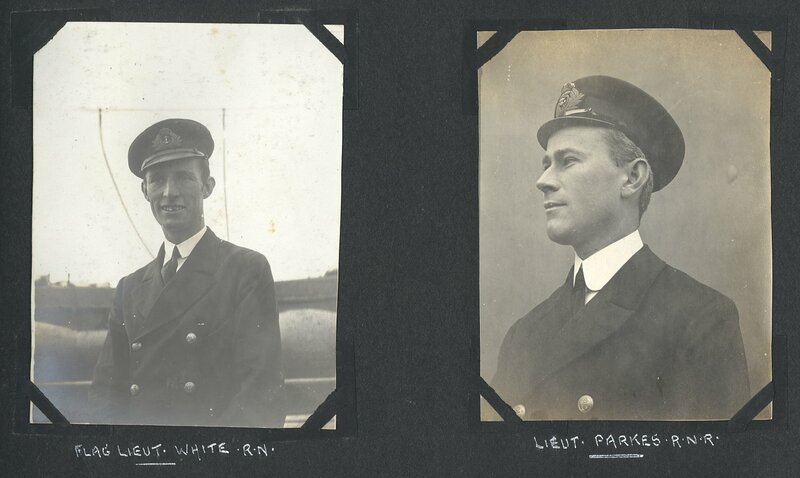 9 - Listed in log book as Charles Smith, Navigating Officer. 10 - Lieutenant Commander A. Peebles. 11 - The Bugler. 12 - The Master-at-Arms. 13 - Snapshot from the crow's nest. 14 - Lowering the sea-boat. 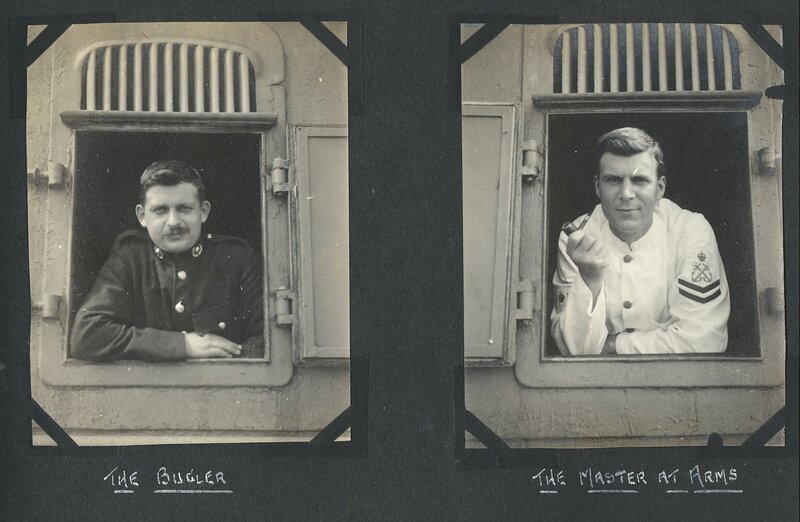 15 - The Chief Gunner. 16 - First of a number of mascots. 17 - Royal Marines. 18 - The Bugler. 19 - Note HMS Caronia's 4.7-inch gun with shield. 21 - HMS Carnarvon, armoured cruiser with 5th Cruiser Squadron in 1914, South America 1914-15 and NA&WI 1915-18. 20 - HMS Berwick, armoured cruiser, serving on North America & West Indies (NA&WI) Station. 22 - At the Halifax dockyard. 23 - Abandon ship exercise. 25 - Some of the officers. 24 - Gun practice. 26 - Rifle practice. 27 - Wireless cabin. 28 - Tug of war. 29 - Boat drill – A long way down even in calm conditions. In heavy weather, with a list? 30 - Signalling. 31 - Washing decks. 33 - Rope climbing. 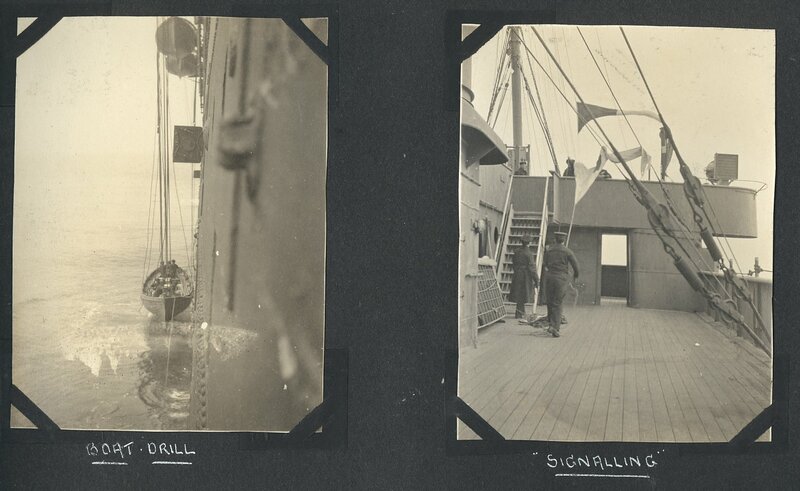 34 - Forward deck. 36 - Officers liberty boat. 35 - Crews liberty boat. 37 - Boat drill. 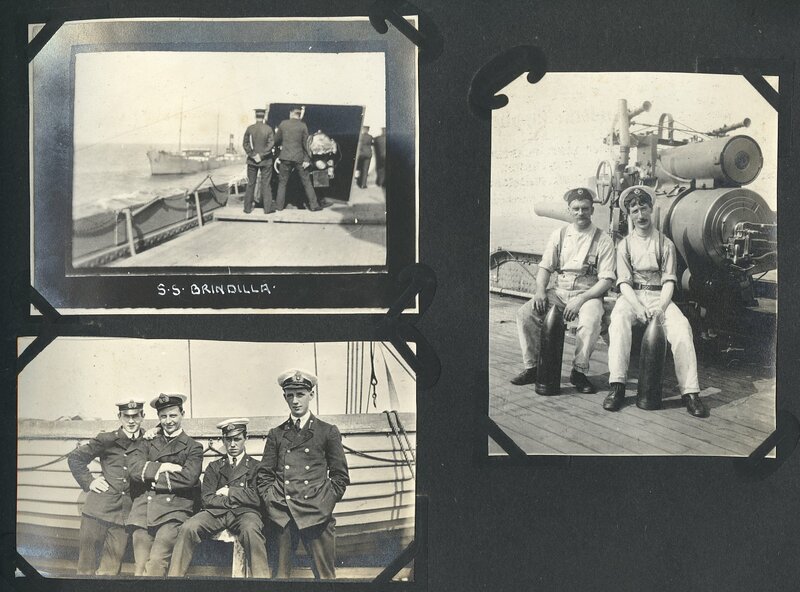 38 - Possibly German engine-room personnel from the SS Brindilla (see photo 41). 40 - Midshipmen at drill. 41 - SS Brindilla, oil tanker owned by Standard Oil and previously operated as German SS Washington before transferring to US registry. 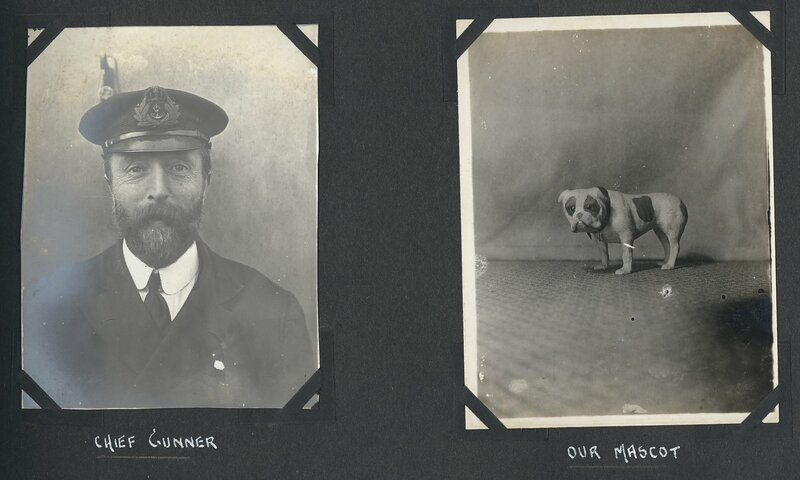 Captured by HMS Caronia (and/or reportedly HMCS Niobe) off Sandy Hook on 18 October 1914 and taken into Halifax with suspected contraband. Crew included a "few Germans in the engine room". Ship released on 30th (see The New York Times and other internet sources). 43 - HMS Caronia is only listed as armed with 4.7-inch guns, which are shown in such photos as 41 and 124, but 43 here appears to be a 6-inch gun - note diameter of shells. Possibly on another vessel? or added at her refit? 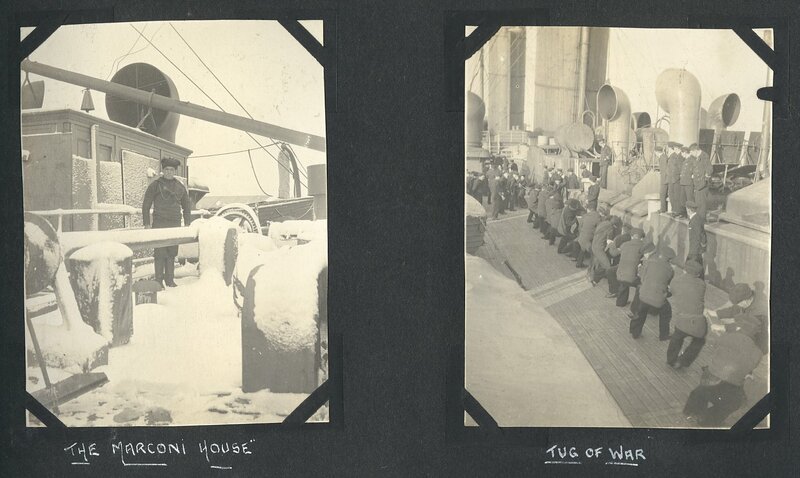 See also Photo 97 which again appears to show 6-inch guns, without shields. 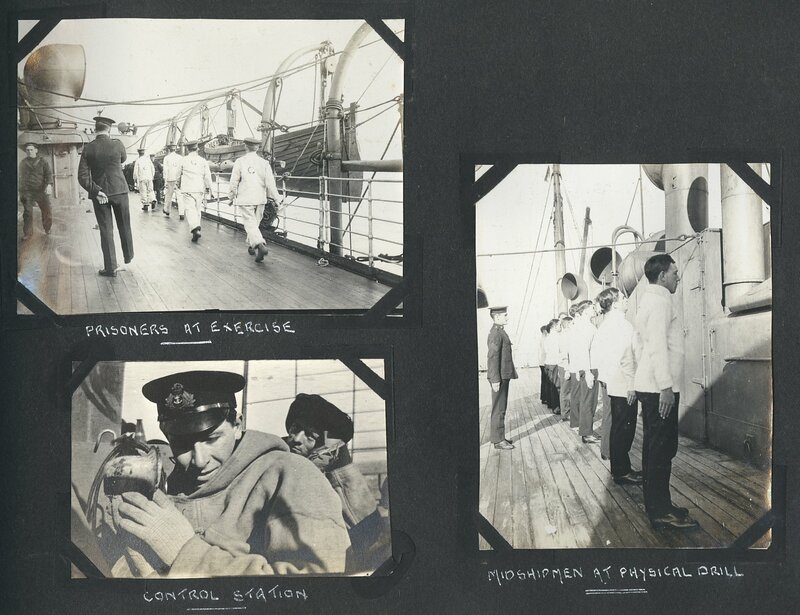 42 - Three midshipmen and one other young officer.